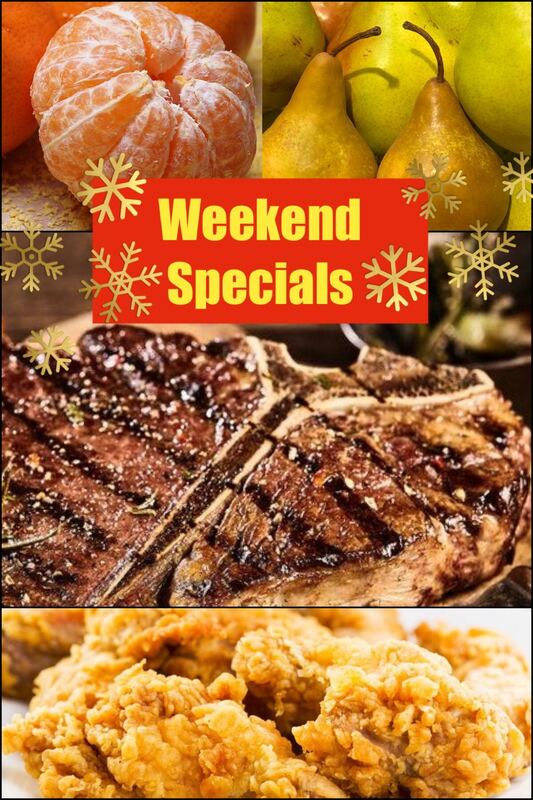 Weekend Specials – Special Saturday & Sunday Savings! – Painted Hills T-Bone & Porterhouse Steaks, $8.99/lb. – Clementines (3lb. Bag), $2.99!! !